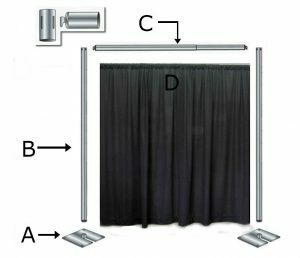 Figuring out pipe & drape for your event may be a little daunting. With this tutorial, we hope to make your planning process a little easier! *The number of drapes you need depends on how much pleating you’d like. 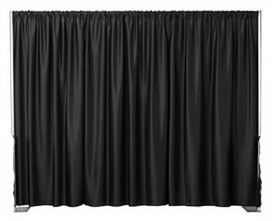 Draw out the entire width of coverage that you need for the pipe & drape. 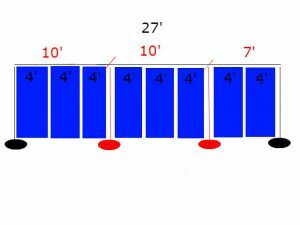 Divide the total width into sections that are 6’ to 10’ in width (because each crossbar can only extend from 6’ to 10’). Figure out how many drapes you’ll need. The number of drapes that you’ll need will depend on how much pleating or “fullness” you prefer. For reference, we generally recommend 3 panels of drape per 10’ section which will create a slightly pleated look. 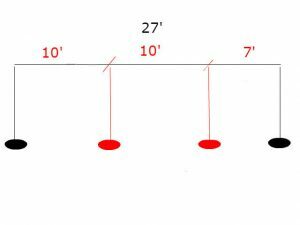 Figure out what height you’d like for your drapes – 8’ or 12’. Now count all the parts that you need to get a total list of all the items you need for your pipe & drape! Of course, if you’re still unsure about determining your pipe & drape needs, you can always give us a call at our office; our sales team will be happy to help. 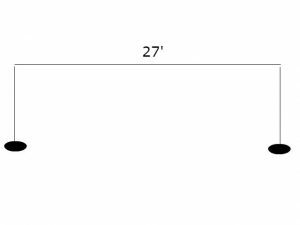 We just need to know (1) the width of each area that you’re looking to cover, (2) the height that you’d like, and (3) the colour of drapes, and we can do the rest!